Jaded Blossom: If I only had a brain!!!! So excited, today is my first post over here!!! so I wanted to make something fun for this special day. 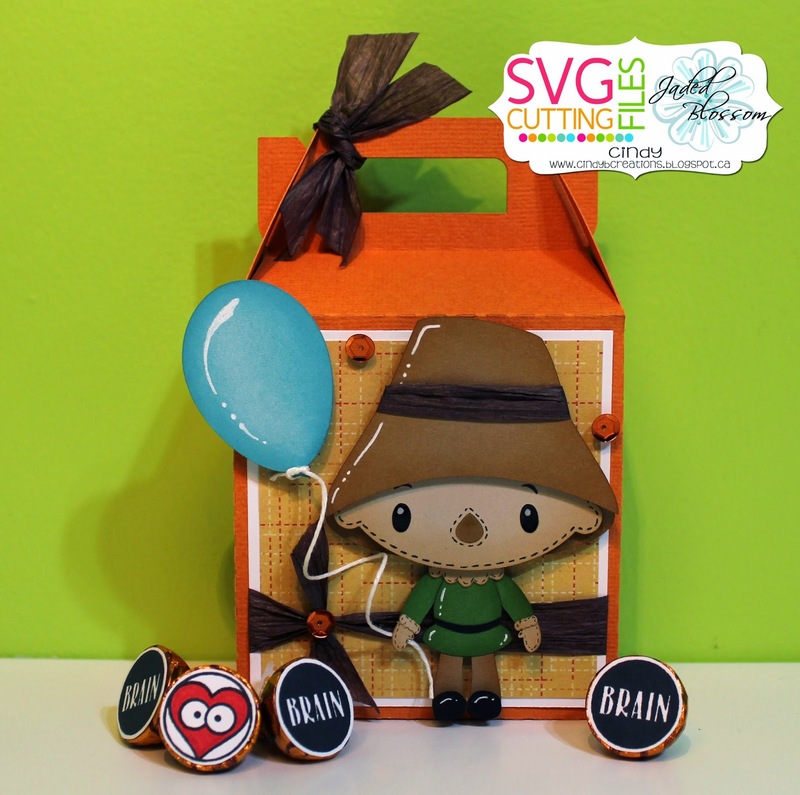 Here is a card and a fun treat box set that I made for today. the Balloon Trios for the balloons. I don't think anything is allowed to be that adorable!!! Too much cuteness makes me talk crazy :) Love your projects! Now I.m singing that song lol so cute and a awesome idea!!! Love it! 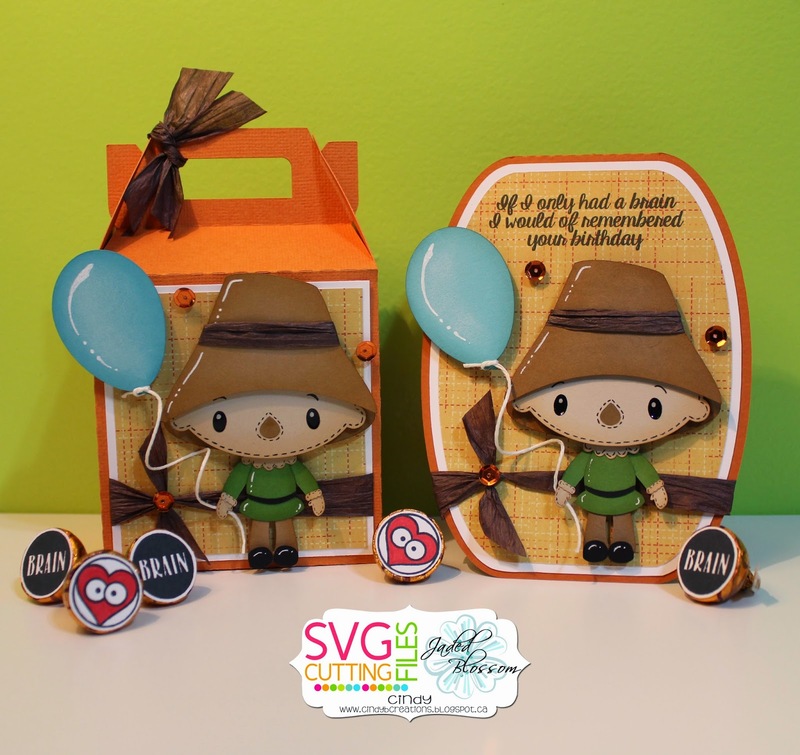 What an adorable project Cindy! Love the details and way to "rock" your first JB post!!! Great job my friend! 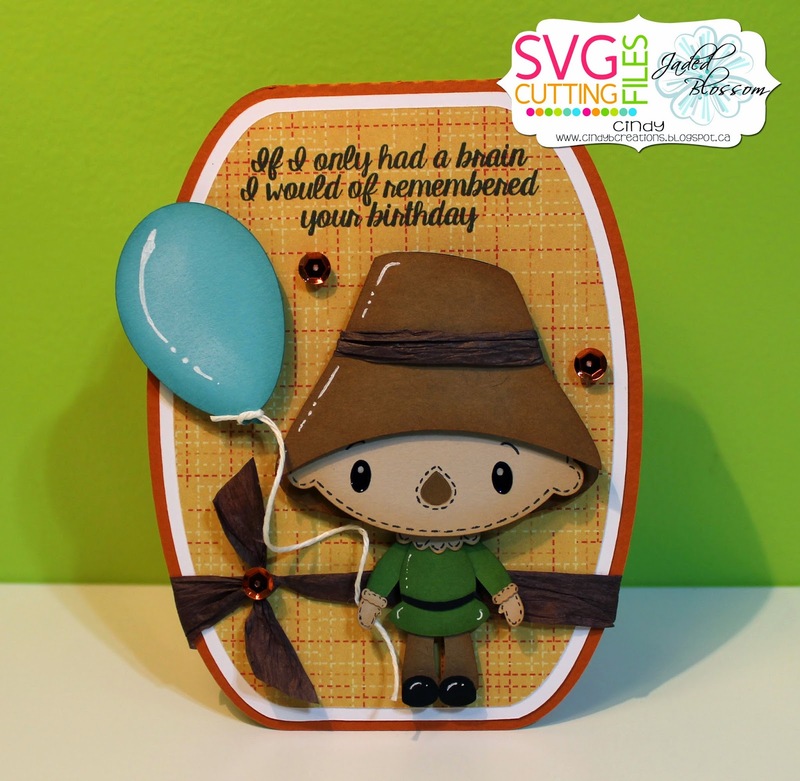 Love your paper choice and all the added detail for the scarecrow box and card. Fantastic job! Just so freakin' cute, I just love it!